Don’t be fooled by cheerful guitar, solid melodies and happy vibes, there’s a darker regretful undertone running through the JUNGLE GIANTS latest EP release She’s A Riot. The Brisbane foursome have just brought five fresh tracks of their bright indie pop documenting the possibilities of young love, with a bit of heartache in-between. 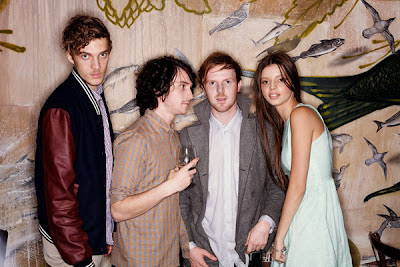 Their down-to-earth lyrics and solid arrangements are reminiscent of an early KOOKS or JINJA SAFARI. 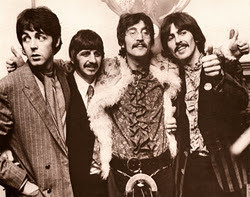 You can tell these guys were friends in high school - their musical talents fit well together. 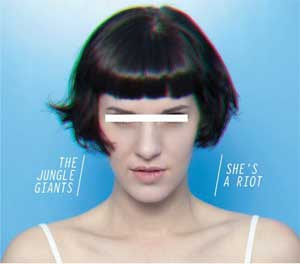 Title track ‘She’s A Riot’ opens the EP with a playful serenade with a catchy chorus, fun twangy guitar and high-spirited lyrics: “Wake up, turn around, you’re my girl.” One to clap along to, bop around with – it’s a bubbly tune that characterises the JUNGLE GIANT’s young, sprightly energy. This one might end even up on the triple j 100 next year. ‘Don’t Know What Else To Do’ follows with an optimistic vibe, classic pop arrangement and a groovy bass line. It’s the sort of track that reminds us of an outdoor summer party full of pleasant tunes like this one. The energetic build-up to the chorus brings all parts of the band together and is a sweet sing-a-long, “I’m crazy for you girl, that’s why I got to play it cool.” The jangly guitar can get a bit irritating but overall the sound works. ‘You’ve Got Something’ would have to be one of my favourites off the EP. With more of a rock feel (and suspiciously-sounding Colplay-ish guitar jams in between) it’s a track which is a bit more serious than their bouncy songs. From the smooth vocals by SAM HALES, we feel the sense of bitterness and disappointment arising from the story. CERISA’s guitar strumming at the end is even a bit reminiscent of early CHILI’s songs. Along with heavy drumming and deep bass, it’s one of their more introspective tracks. Final track ‘Back To The Start’ is a return to JUNGLE GIANTS’ more upbeat tunes, with sweet harmonising and dreamy lyrics. “I want to go back to the stars.” It’s really a song about not being sure about life, what you’re meant to be doing and being okay with that. After we’ve been on this journey through young love, disappointment and party times with friends this song encapsulates the carefree young atmosphere of the entire EP.